Semiconductor market researcher Jim Handy of Objective Analysis has produced an 80-page report looking into what XPoint memory is, how it could be used and what its prospects are. XPoint memory was unveiled by Micron and Intel in July to general amazement. 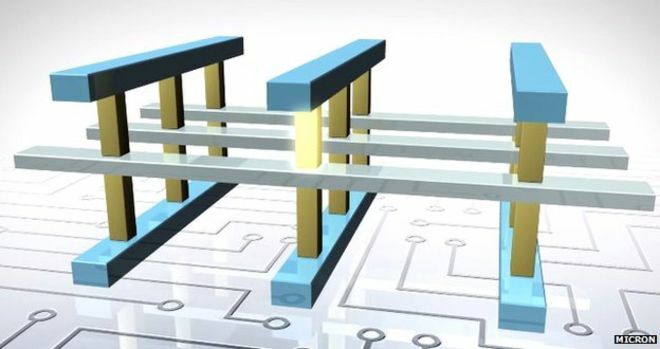 The pair claimed it was 1,000 times faster than NAND, ten times denser and also less costly than DRAM, and would form a new memory hierarchy between DRAM and flash. 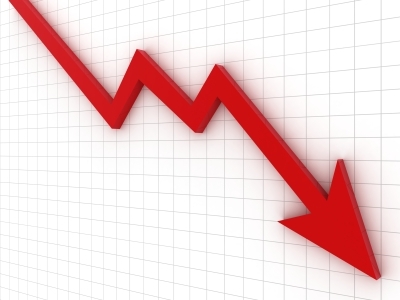 Flash Storage Prices Have a Long Way to Fall. Here’s Why. High-performance flash-based storage is increasingly insinuating itself into enterprise infrastructure. It’s showing up in everything from server caches and directly attached storage to hybrid arrays and fully solid state storage appliances. For as long as there has been data there has been a quest to consolidate that data onto a single, consolidated storage system, but that quest seems to never be satisfied. The problem is that there are essentially two types of data; active and archive. Active data typically needs fast I/O response time at a reasonable cost. Archive needs to be very cost effective with reasonable response times. Storage systems that try to meet both of these needs in a single system often end up doing neither particularly well. This has led to the purchase of data and/or environment specific storage systems and storage system sprawl. As I’m following closely the growth and evolution of this new technology for vSphere environments, and I’m still in search of a solution to play with VVOLs in my lab, I’ve found an article on the blogosphere and some additional comments on Twitter that made me re-think a bit about the real value of VVOLs. It’s just a “per-VM” storage? The original article comes from one of my favorite startups, Coho Data. In this article Suzy Visvanathan explains how Coho being an NFS-based storage doesn’t really need to support VVOLs. WD’s HGST division announced today an industry first 10TB hard drive. The leading-edge technologies in it make it a hard act for Seagate to follow. Here’s why. HGST announced delivery of the world’s first 10TB hard drive. That’s a 10,000x increase from the first 1GB 3.5″ drives shipping 20 years ago. Today HP made a series of announcements around its 3PAR StoreServ Storage family. These announcements include lowering the price of flash capacity, new highly scalable all-flash arrays, and flash-optimized data services. These new innovations are aimed at accelerating the adoption off all flash in datacenters. As we’ve seen over the past few years, flash technology is continuing to be adopted in many areas. With their increased density, performance, and predictability, all-flash arrays will continue to grow, in fact IDC forecasts that flash arrays will see a 46% compound annual growth rate over the next five years. Customers are looking to extend the benefits of flash into the datacenter. It’s a foolish data storage professional who considers that tape isn’t worth paying attention to. The fact of the matter is that tape continues to be the medium of choice for the bulk of stored data and its usage is growing. “Data storage and archiving requirements aren’t slowing down, so solutions that allow for smarter archiving and introducing or re-introducing tape are in high demand,” said Spectra Logic CTO Matt Starr. As a sign of the health of tape, storage players such as, Oracle, IBM, Sony, Quantum, Spectra Logic, Fujifilm and HP have all announced new tape products in recent months. Here are some of the highlights. In recent years, flash-based SSDs have grown enor- mously both in capacity and popularity. In high- performance enterprise storage applications, accelerating adoption of SSDs is predicated on the ability of manufacturers to deliver performance that far exceeds disks while closing the gap in cost per gigabyte. However, while flash density continues to improve, other metrics such as a reliability, endurance, and performance are all declining. As a result, building larger-capacity flash- based SSDs that are reliable enough to be useful in enterprise settings and high-performance enough to justify their cost will become challenging. For the past 10 years or so, blade servers have been the fastest-growing portion of the server market. However, as cloud service providers—and the corporate data centers that, every year, look more like the data centers of cloud providers—operate, it seems to me that the blade server’s best days may be behind them. Blade servers have traditionally (and can I use traditionally to discuss a technology that’s only a decade old?) claimed superiority over their rack mount brethren in density, power consumption, and that least-quantifiable of all measures: manageability. The price for that increased efficiency is reduced I/O capability and, most significantly, limited to no local storage.